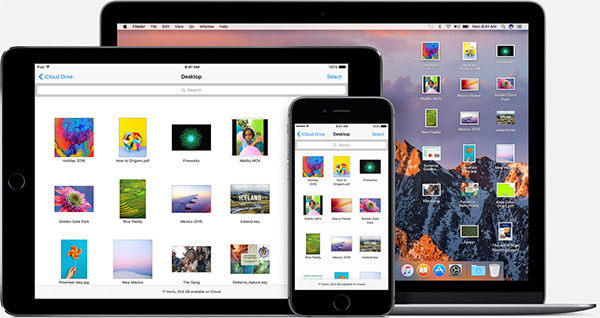 Apple has today announced the final release date for iOS 10, macOS Sierra, watchOS 3 and tvOS 10. It’s the date when general public worldwide will be able to download the new OS on their respective devices. In addition to getting our first look at the iPhone 7 and the iPhone 7 Plus, its features and specs, as well as being introduced to a refreshed Apple Watch, we’ve also found out exactly when iOS 10, tvOS 10 for the Apple TV 4, watchOS 3 for the Apple Watch, and macOS Sierra for Mac will be dropping in for public consumption. 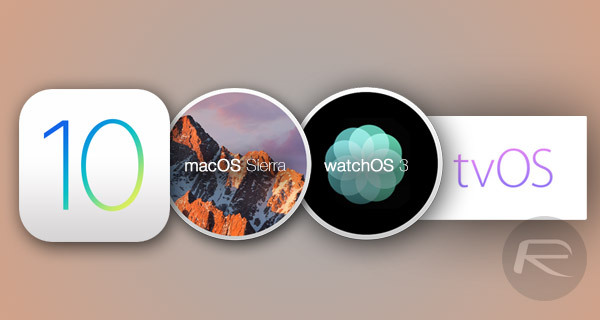 If you look back into Apple’s historical release schedules, then you tend to find that the company likes to release the latest software alongside the latest and greatest hardware. After all, what better way to promote the uptake of iOS 10 to existing device owners than to show how fast and seamless it is on new hardware that has just hit the shelves? With that in mind, very much like last year’s release of iOS 9, Apple has taken the decision to release iOS 10 on September 13th, which is nearly one week after the company’s fall event, and of course few days ahead of the iPhone 7 release. Like iOS 10, the watchOS 3 and tvOS 10 will become available globally to the general public this coming September 13th as well. As we would expect, Apple’s iOS 10 platform is a free-of-charge update for all compatible iPhone, iPad and iPod touch devices, and will be made available by the company engineering teams at some point during September 13th. watchOS 3 and tvOS 10 will all also filter through to all Apple Watches, and the fourth-generation Apple TV on the same day, presumably at the same time, which will likely be 10:00AM Pacific Time. macOS Sierra though will be released on September 20th. With iOS 10, Apple is introducing a platform that has many notable changes, including an entirely revamped Messages app, as well as interactive rich notifications, among many other things. macOS Sierra not only sees Apple’s desktop platform being renamed to provide a converged experience with other platforms, but it also benefits from the integration of Siri for the first time, as well as new features like a universal clipboard and Auto-Unlock that allows Macs to be unlocked using an Apple Watch in close proximity to the Mac, among other things. For more information on iOS 10 features, check out our post here. Detailed information on macOS Sierra can be found here. In addition to those two platforms, watchOS 3 benefits from a significant speed upgrade when loading apps, as well as an improved mapping experience. Check out our hands-on experience with watchOS 3 here. tvOS 10 brings a new Dark Mode to the Apple TV in addition to a more powerful Siri experience, HomeKit support, and more importantly single Sign-on, amongst other things. For further details, check out our post on tvOS 10 here. If you own any of the devices supported by any of these firmware, then make sure you mark September 13th and September 20th in your diary.